Take 5 Tuesday: Market Edition. 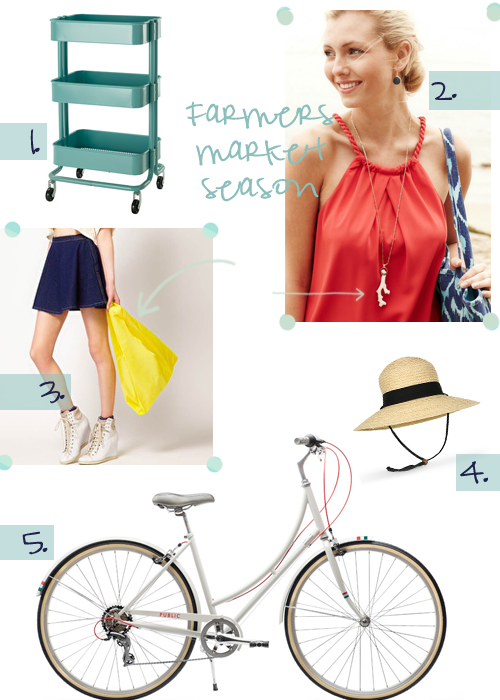 Here are all the essentials you need for a fabulous trip to your local market. Which Markets do you go to? I hope to see you at the Elk River Farmer's Market! @Teresa,I go to the Princeton market and am hoping to be at the Uptown Market too. :)Which day is Elk River on?